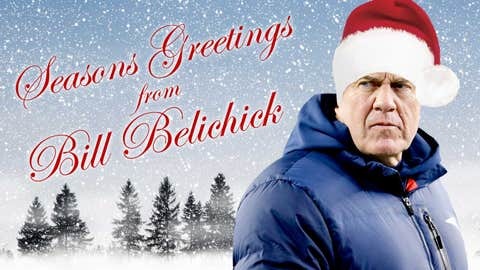 It’s the season of giving back, and Bill Belichick is doing his part. Belichick on Wednesday announced the official launch of the Bill Belichick Foundation, which is aimed at providing "coaching, mentorship, and financial assistance to individuals, communities and organizations with a focus on the sports of football and lacrosse," according to a press release from the New England Patriots. Belichick gained a deep love and passion for sports from his father Steve Belichick, who coached at the Naval Academy for 43 years. The Belichick family’s involvement in sports delves even deeper, too, as Belichick’s daughter Amanda, the head lacrosse coach at Wesleyan University, and son Steve, an assistant with the Patriots, both have careers in coaching. Belichick aims for the foundation to bring the core values of the Belichick family, which are listed as "love of sports, coaching and team building, to the sports leaders of tomorrow." "My goal is to recognize, support and endow those with great potential who have a need for additional help and resources," Belichick said in the foundationâs release. "Mentorship has been ingrained in our family and we take a team approach to just about everything we do. We have been helped by so many people and we look forward to helping others however we can by relating our experiences and life lessons through a variety of athletic programs and services." The new foundation is partnering with Celebrities for Charity and will be raffling off a chance to win luxury suite tickets to the Patriots’ season finale against the Bills, an overnight stay at the Renaissance Hotel at Patriot Place and a meet-and-greet with Belichick. Raffle tickets cost $2 and can be purchased at netraffle.org. Tickets will be on sale until Dec. 27 at 2 p.m.